This is a valve made recently at the British Vintage Wireless and Television Museum. Gerry Wells, curator and president, says "I'm sure that if a valve could be made before 1920, that we can make one now!" 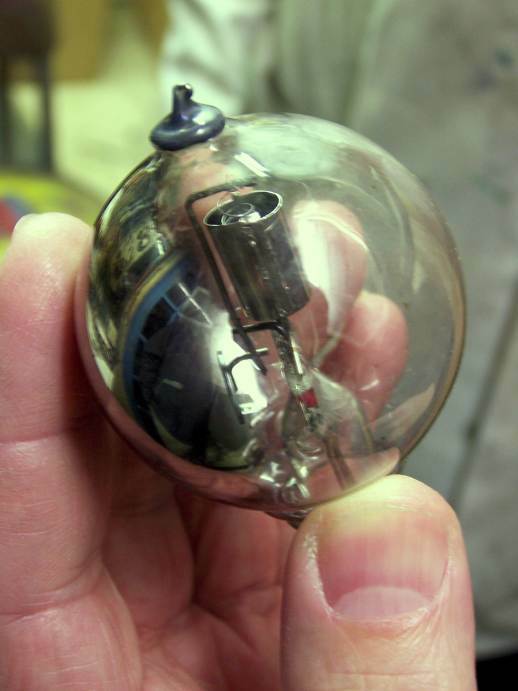 The Museum used a vacuum pump and induction heater in their workshops when making the valve. The bench on which it was made has the vacuum pump and induction heater generator beneath it. 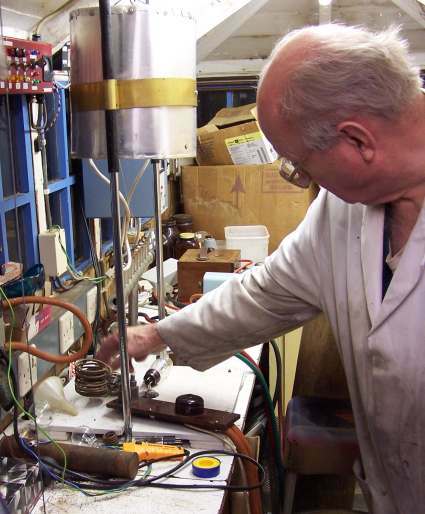 The induction coil for heating the metal electrodes of the valve can be seen by Gerry's hand.